That’s one of the opening lines of tick, tick…BOOM! as the storyteller (and writer), Jonathan Larson, introduces himself to the audience. I have always been one of the many who felt that Larson’s songs and words were meant for me. But this line rang especially true this past Saturday because I could have literally said the same thing. My 30th birthday is this Saturday, July 5th, and what a unique opportunity to be able to revisit one of my favorite musicals at the age up for discussion in the show. Some background first. tick, tick…BOOM! 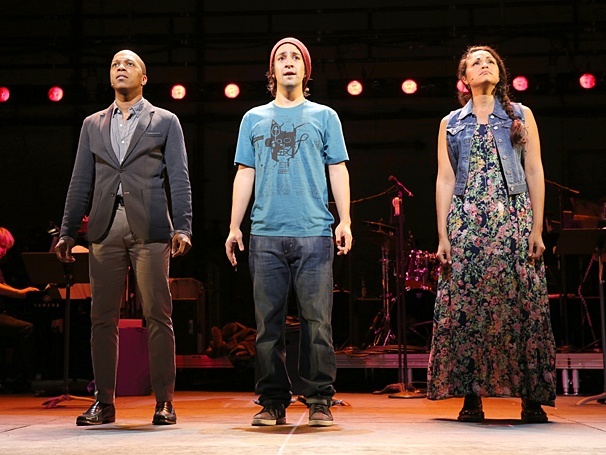 is a 90-minute rock musical written by Jonathan Larson. Before he went on to write the monster hit RENT, he created this auto-biographical one-man show. After he tragically died of an aortic aneurysm at the age of 35 (and right before RENT’s first preview Off-Broadway at New York Theatre Workshop), this piece was reworked by David Auburn into a three-person show (the character of Jon himself, his best friend Michael, and his girlfriend Susan). The story is about Jon, a “promising young composer,” as he nears his 30th birthday in the year 1990 and battles with the decision of whether he should continue pushing forward along the artist’s path or finally throw in the towel. It’s a beautiful show, for artists in particular, but really it’s for anyone who can relate to the struggle of sticking to one’s dream. Plus it has a fantastic score and a smart, funny book. The show originally premiered Off-Broadway at the now closed Jane Street Theatre in 2001. I was 17 and an enormous Renthead, so of course, I was all over that sh*t. I went four times and fell in love with Raúl Esparza, Jerry Dixon, and Amy Spanger. I freaked out a year later when I saw Stephen Sondheim’s Sunday in the Park with George for the first time and realized the brilliance of Larson’s song “Sunday” (it’s one big shout-out to the Act 1 finale of George). I wanted to play hooky my senior year of high school and go to the city for the demo CD signing which ended up being on September 11, 2001. I wore out the cast recording in college and would go to the practice rooms at 1am with Brigitte to play piano and sing through the music. Sooo basically this show and I have a history, and to see it again was very emotional. I was coming in with an entirely different perspective, and it felt all the more personal. All of a sudden I find myself at the age Jonathan is singing about and asking similar questions: what does it mean, what happens next, what choices should I be making, what path should I be following? Do I continue to choose this crazy path of theatre despite the challenges? Or just throw myself fully into a day job? Do I talk about these questions over and over or do I just…act? Unfortunately I cannot recommend this specific production to you because it was part of the Encores! Off-Center program, running only for five performances after a very brief rehearsal process. Due to the limited rehearsals (sneak peek here), the actors still use their scripts for many of the scenes. There are music stands for some songs, and not every scene is fully staged or realized. But what director Oliver Butler and these three actors managed to do in such a short time was incredibly effective. Fingers crossed it gets to move on like Violet did after its run last summer, because I think there’s more to be discovered. 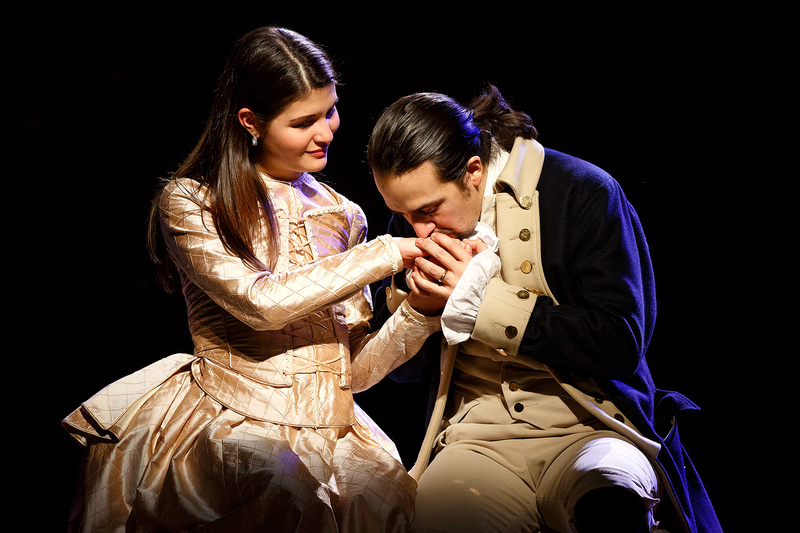 Lin-Manuel Miranda, the Tony-winning composer of In the Heights, is a wonderful Jon. Although his vocals don’t match Raúl’s, his emotional presence is fully felt, and his performance resonates even more since he can so directly relate to the path of a struggling composer trying to change the face of Broadway. Here’s a lovely article written by Miranda as he talks about his journey with Larson’s work. Leslie Odom Jr. is excellent as Michael, and Karen Olivo (Tony winner for West Side Story and returning from her break from show business) knocks the big 11 o’clock number “Come to Your Senses” out of the park. I mean, holy crap. Not to mention that the song is in a higher key! Here’s a bootleg that does not do her justice but will give you a little taste. I hope the show has more life. I want more people to see it. To hear the music. To hear Jonathan’s story. The ending to his actual story makes it all the more important to remember to embrace the time we have and move forward and hopefully continue to choose to do what we love day in and day out.